Mainstream fashion is currently moving towards a looser silhouette. 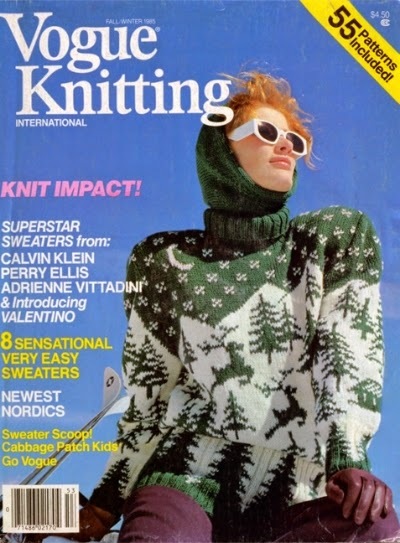 Knitters will begin to see this reflected in patterns. As the new shapes become more common in retail and we see them on many other women, the looser fit will begin to look more correct and modern. Remember the gigantic shoulder pads which were worn in the '80s? They look odd in retrospect but were the norm back then. 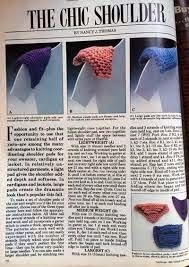 Vogue Magazine published techniques for knitting shoulder pads. There are ways to look good in oversize no matter what your size and shape. Check out my post on bone size to help understand your own proportions. I think the proportional length of your limbs is one of the most important details that determines whether oversize will be flattering on an individual. To my eye it's more telling than height or size. If you have long limbs and a long neck it's easier to look balanced in these larger scale garments even if you are a petite or a plus size. 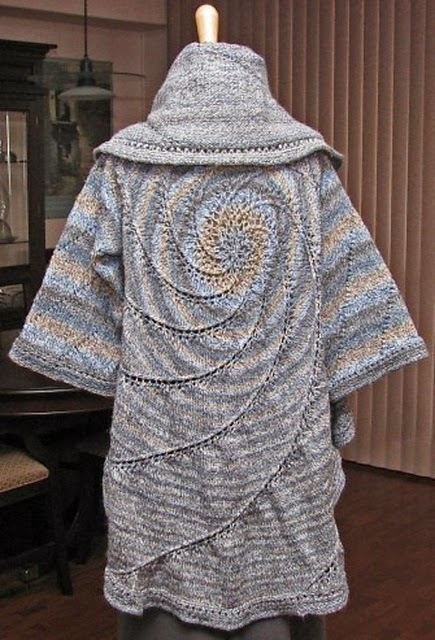 It's critical to discriminate between patterns designed to be over-sized rather than knitting items that are just too big. When you get the recipe right, over-sized clothes look fashionable, not as though you are wearing someone else's clothing. Sleeves must not be too long and necklines must not be sliding off your shoulders. No matter what your individual shape is you need to look at balancing out proportions. The larger the sweater, the more fitted the rest of your clothing should be. Skinny jeans and leggings make great casual choices, and a fitted pencil skirt or narrow dressy pants work well in more formal situations. Consider balancing out over-sized sweaters by pairing them with shorter bottoms. A shorter hemline will work to offset the volume on the top part of the body. This works for those of you with good legs. Make sure the hem of the bottom garment is clearly visible. I recently saw someone wearing this version and initially thought the over-size sweater was being worn as a dress. Think about belting over-size cardigans to add back a waistline. I'm already seeing this done in advertising by the stylists. Wear an under layer that sits closer to your body so that your shape is defined with an open cardigan. Try a higher heel to give better balance. My Pinwheel Cardigan is very over-sized. I'm 5' 2" with short arms. I wear it successfully with tailored grey trousers. I create a column of colour with a close fitted grey shirt, and I wear heels for extra balance. I make sure my wrists show below the sleeve hem. I choose to wear it hanging open to create a vertical line up the centre of my torso. I've never worn it with the skirt I used in the pattern photo, because the skirt is quite long. I planned to crop the photo when it was taken. How do you plan to wear the new silhouette? Over-size means lots more knitting so you might want to think about these details before you choose your pattern.